Apple Music is a popular streaming music service developed by Apple Inc. Users can stream the songs to their device and listen to the existing playlists. Apple’s latest Apple TV 4 offers the Music App, from which Apple Music subscribers have access to millions of songs through iCloud Music Library on Apple TV. This tutorial will not only guide you on how to stream Apple Music to Apple TV 4 with iCloud music Library, but also introduce you another powerful way to directly play Apple Music on it with simple steps. Step 1: Open Apple TV 4, go to Settings > Accounts and log in with the same Apple ID as your Apple Music Account. For Mac users, go to iTunes > Preferences; for Windows users, go to Eit > Preferences; for iPhone, iPad or iPod Touch users, go to Settings > Music. Step 3: Find the Apple Music you want to listen to in the Music App on your Apple TV 4 and hit play. iCloud Music Library is convenient to be used for sharing Apple Music between devices. However, a great many people are afraid to turn it on for its’ unstable performances. 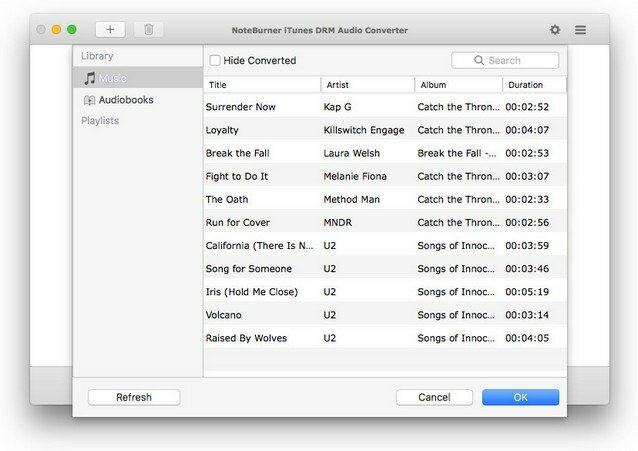 Many people complain that it may create duplicates, restore previously deleted music or assign inaccurate metadata & artwork in some occasions. To avoid such kind of situations, we highly recommend Method 2 to enjoy Apple Music on Apple TV 4. Click the setting button on the upper right of the interface, and then a pop-up window will enable you to choose output format (WAV, AAC, MP3, FLAC), output quality, as well as output path. 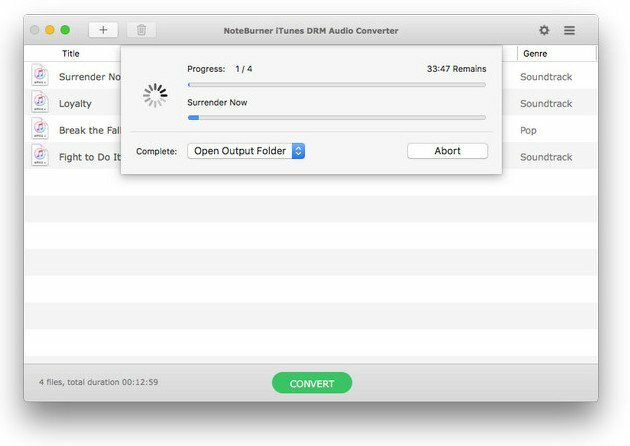 Click button “Convert”, and all the Apple Music you want to play on Apple TV 4 will start to be downloaded and saved to your local computer. 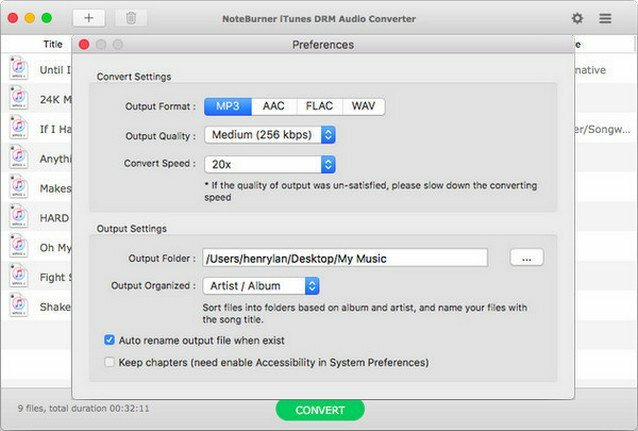 When the conversion is done, you can find all the converted Apple Music by clicking the menu button on the top right of NoteBurner Apple Music Converter or directly going to the output folder you set in previous step. On Mac / PC: Launch iTunes. Go to File / Edit > Home Sharing > Turn on Home Sharing. Once the configurations above are finished, click on Computers on your Apple TV and then you will see your media contents on your computer listed on your Apple TV. 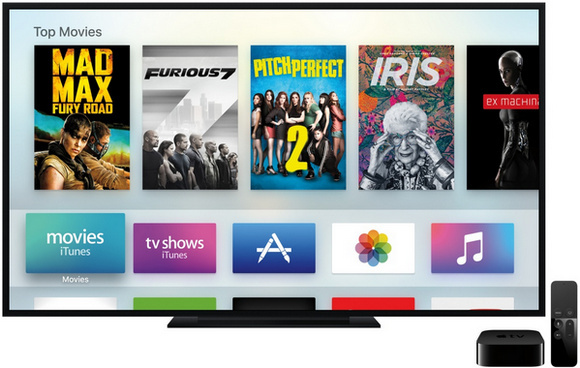 Now you can listen to Apple Music on your Apple TV 4 free and freely.